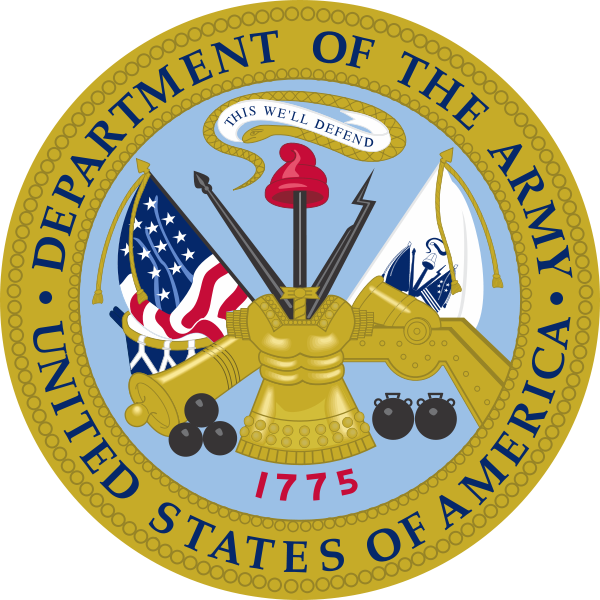 The Army Goes Rolling Along is the official song of the U.S. Army and is typically called "The Army Song." The song is based on the "Caisson Song" written by field artillery First Lieutenant (later Brigadier General) Edmund L. Gruber, Lieutenant William Bryden, and Lieutenant (later Major General) Robert Danford while stationed at Fort Stotsenburg in the Philippines in March 1908. The tune quickly became popular in field artillery units. In 1917 the Secretary of the Navy and Army Lieutenant George Friedlander of the 306th Field Artillery asked John Philip Sousa to create a march using the "Caisson Song." Sousa changed the key, harmony, and rhythm and renamed it "U.S. Field Artillery." The recording sold 750,000 copies. Sousa did not know who had written the song and had been told that it dated back to the Civil War. Upon learning of the true composer, he gave the royalties to Gruber. “The Caisson Song” was never designated as the official Army song likely because the lyrics were too closely identified with the field artillery and not the entire Army. As the Navy, Marines, Air Force, and Coast Guard had already adopted official songs, the Army was anxious to find a song of its own. In 1948, the Army conducted a contest to find an official song, but no entry received much popular support. In 1952, Secretary of the Army Frank Pace asked the music industry to submit songs and received over 800 submissions. “The Army’s Always There” by Sam Stept won the contest, and an Army band performed it at President Eisenhower’s inaugural parade on January 20, 1953. However, many thought that the tune was too similar to "I've Got a Lovely Bunch of Coconuts," so the Army decided to keep the tune from the "Caisson Song" but with new lyrics. A submission by Harold W. Arberg, a music advisor to the Adjutant General, was accepted. Secretary of the Army Wilber Marion Brucker dedicated the song on Veterans Day, November 11, 1956. The song is played at the conclusion of most U.S. Army ceremonies, and all soldiers are expected to stand and sing. When more than one service song is played, they are played in the order in which the service was established: Army, Marine Corps, Navy, Air Force, and Coast Guard.